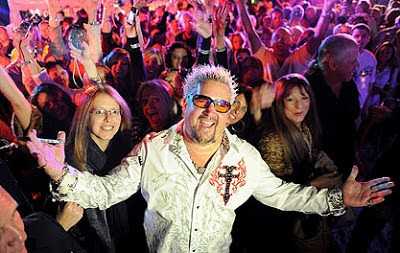 Large-scale white tents are cropping up on Miami Beach which only means one thing. 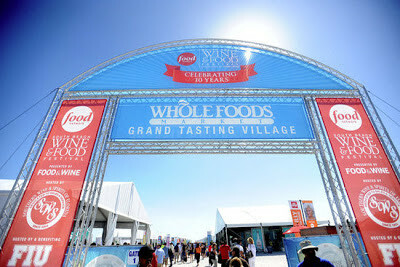 Tonight is the premiere night of the annual South Beach Wine & Food Festival, more known as SoBe Wine & Food Fest! It's a four-day event of wining, dining and mingling with top chefs, foodies and friends. 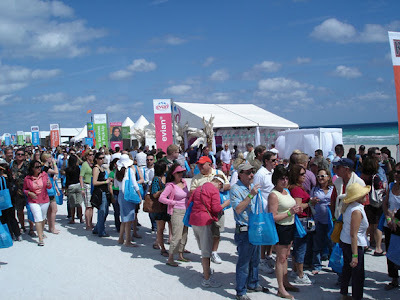 Be prepared to join thousands of people inside one large tent to sample bite- size portions of tasty fare from the best restaurants in Miami and finish it off with wine samples from over a hundred labels. Inside the Grand Tasting Tent--it's packed! Oh so good mini chops! Throughout the village, rub elbows alongside more than a dozen top culinary television personalities, like Rachel Ray, Guy Fieri, Anne Burrell and now country music singer turned chef Trisha Yearwood. Sample a range of offerings at events sponsored by big name brands like Whole Foods, Evian, Target, Amstel Light, Diet Pepsi, and Bank of America. I personally have met Rachel Ray, Bobby Flay, Emeril Lagasse, and Martha Stewart. Whether you attend a private event, attend their seminar at the beach side village or bump into them in passing, this is a slice of heaven for Food Network fans. And the food is great too! 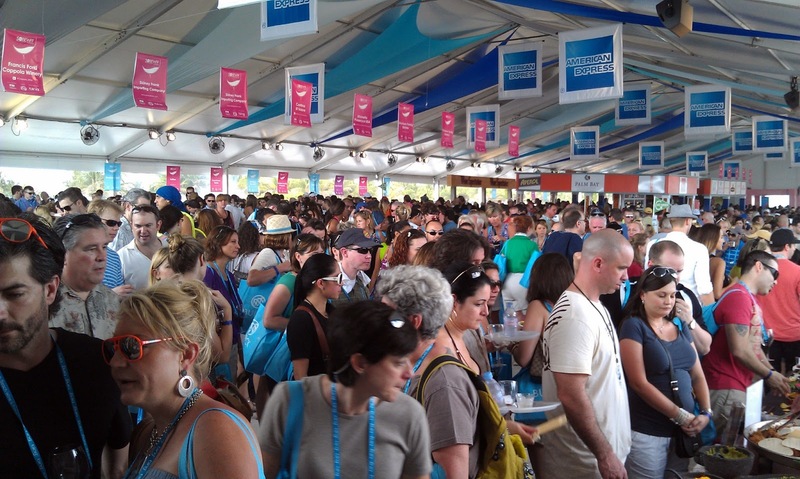 Tickets are still available for the Grand Tasting Tent on Sunday ($225 each), February 24. Purchase tickets here. 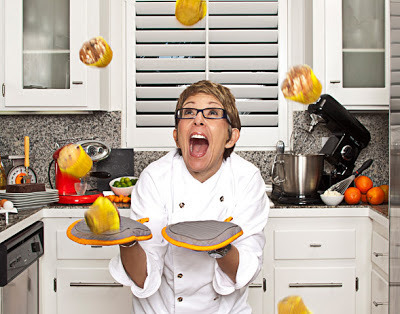 The "Baking Out Loud" with Hedy Goldsmith and Josh Wesson is sure to put a smile on your face and make you laugh out loud. Hedy is celebrating the release of her very first cookbook Baking Out Loud by hosting this seminar of ultimate gratifications. From her time in the Michael’s Genuine Food and Drink kitchen, this James Beard Award nominee is so genuinely loved by all. Your heart will fill with warmth as your belly fills with peerless pastry combinations and delicate dessert wines. Purchase tickets here.